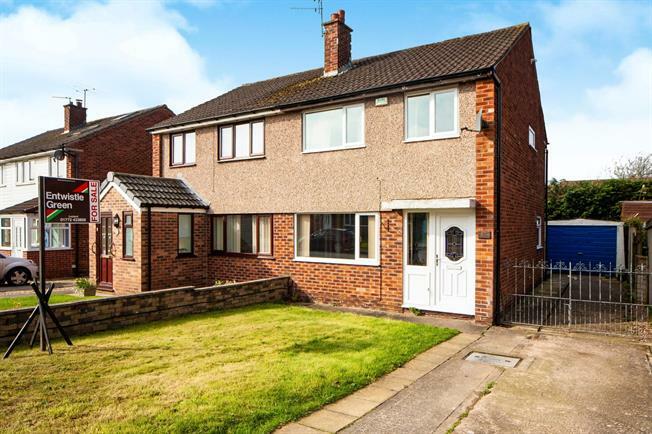 3 Bedroom Semi Detached House For Sale in Leyland for Asking Price £160,000. FEATURED IN THE BIG OPEN HOUSE Sun 28th April 11am - 1pm Call to book your viewing slot! Beautifully presented three bedroom semi detached family home including a fabulous orangery and an immaculately presented private rear garden. A viewing is essential in order to appreciate this lovely home which is located in a much popular residential area and briefly comprises of; hallway, good size lounge open to a dining area, modern fitted kitchen, orangery, three bedrooms and a modern family bathroom to the first floor, to the outside the property is positioned on a generous plot with gardens to front and rear, driveway providing ample off road parking leading to a single detached garage.